The latest book on China’s position in the world this century offers a nuanced picture of the country’s strengths and weaknesses, Andrew Moody reports. Will China emerge as the dominant force of the 21st century? The debate on the former Middle Kingdom’s global role has been opened up again by leading China commentator Jonathan Fenby. His new book, Will China Dominate the 21st Century?, which will be published in the US later this month and worldwide in March, concludes the country’s domestic challenges such as reliance on State investment and environmental concerns will divert it from being the leading actor on the world stage. In this article, we not only debate the issues raised by Fenby but present again the views and opinions on China of the leading thinkers, authors and academics who have appeared in China Daily over the past year. Today we are giving the foremost China commentators from around the world another opportunity to stake out their latest positions. Fenby’s latest book deals with perhaps the biggest question of all as to China’s future role in the world. He argues that we are unlikely to move from a world dominated by the United States as was the case after the collapse of the Soviet Union in 1990 to one dominated by China. He believes that by the end of the century, there will be a greater sharing of power with Europe, India, an emergent Russia and new players such as Indonesia exerting greater influence. 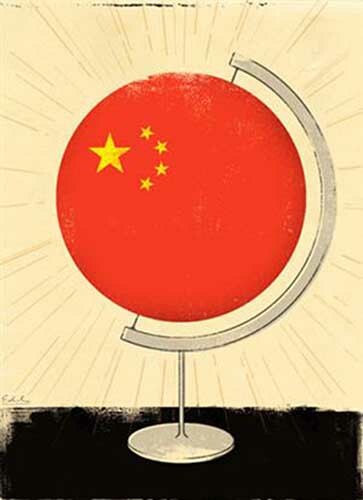 He makes the case also that China will be held back — at least for the next few decades — by economic issues relating to the weakness of its private sector, underdeveloped banking sector and its inability to innovate as well as management skill gaps. The argument is the latest of a new genre of China’s books that presents a more nuanced picture of China’s strength. It follows on the heels of US Sinologist David Shambaugh’s China Goes Global: The Partial Power and Timothy Beardson’s Stumbling Giant: The Threats to China’s Future. This contrasts with perhaps more heady titles that appeared just after the Beijing Olympics, including Martin Jacques’s highly acclaimed When China Rules the World: The Rise of the Middle Kingdom and the End of the Western World, which has now sold more than 350,000 copies worldwide. Rana Mitter, director-designate of Oxford University’s new China Centre, believes Fenby reflects a more realistic perspective of China that is now emerging.